You are here: Home / FREEbies / FREE Light-Up Fan! While supplies last! To all Pink Nation Members! 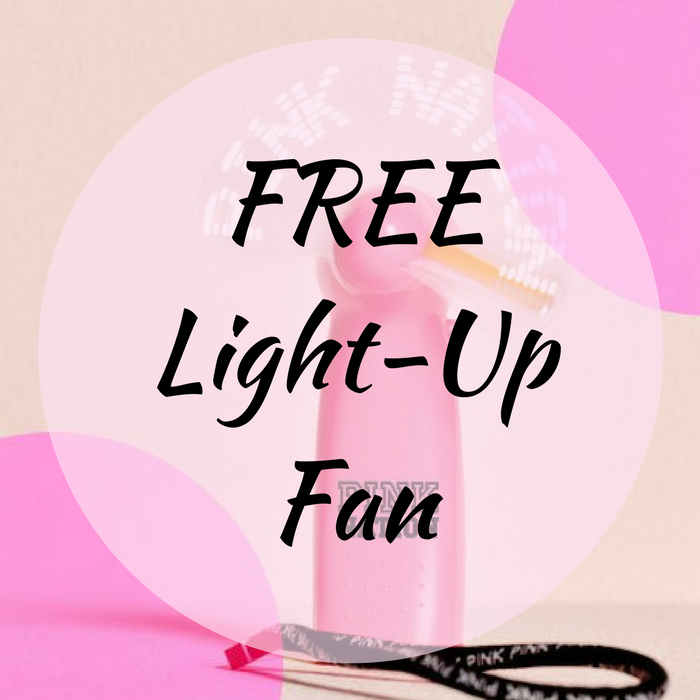 Score a FREE Light-Up Fan with any Pink Purchase at Victoria’s Secret! Not a member yet? It’s FREE to join! In addition, through August, you will get FREE shipping on all $25+ orders! Nice!